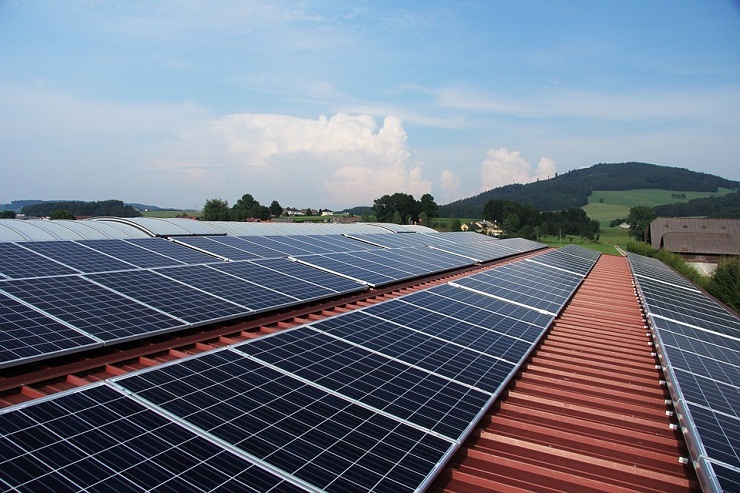 A coal mining museum in Kentucky is switching to solar energy, hoping to save money on energy costs. The Kentucky Coal Mining Museum, owned by Southeast Kentucky Community and Technical College, houses four floors of coal mining equipment, memorabilia, and displays. A two-ton block of coal sits at the front door, and the museum also houses an actual underground mine guests can walk through. “We believe that this project will help save at least 8 to 10 thousand dollars off the energy costs on this building alone, so it’s a very worthy effort,” KCTC Communications Director Brandon Robinson told WYMT. WASHINGTON — In Page, Ariz., the operators of the Navajo Generating Station, the largest coal-fired power plant in the West, have announced plans to close it by 2019. The electric utility Dayton Power & Light will shut two coal plants in southern Ohio by next year. Across the country, at least six other coal-fired power plants have shut since November, and nearly 40 more are to close in the next four years. President Trump campaigned on a pledge to restore the limping American coal industry, vowing to bring jobs and production back to a sector that has been on a steady decline for over a decade. But to do that, he would have to revive demand for coal by electric utilities, which for decades have been the largest consumer of the heavily polluting fuel. Nearly all the coal mined in the United States generates electricity. The Trump administration’s obsession with the coal industry has driven many of its early energy and environmental policy initiatives—with the Energy Department’s thinly veiled baseload power plant review just the latest in a string of efforts to buttress the troubled sector. But none of these policies are going to change coal’s central problem: The utility industry, far and away its largest customer, is steadily moving away from the black rock. This transition won’t happen overnight, but the direction is clear, as a close review of recent utility executive statements and company publications clearly demonstrates. Pressured by cheap and abundant natural gas, coal is in a precipitous decline, now making up just a third of electricity generation in the United States. 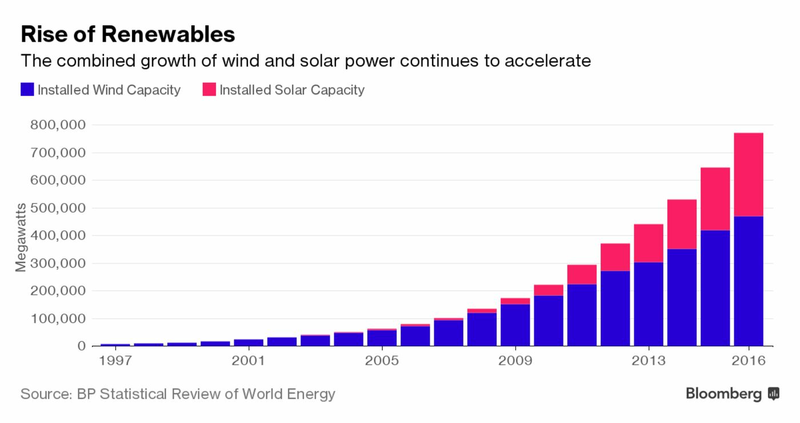 Renewables are fast becoming competitive with coal on price. Electricity sales are trending downward, and coal exports are falling. All the while, the coal industry has been replacing workers with machines and explosives. Energy and labor specialists say that no one — including Mr. Trump — can bring them all back. 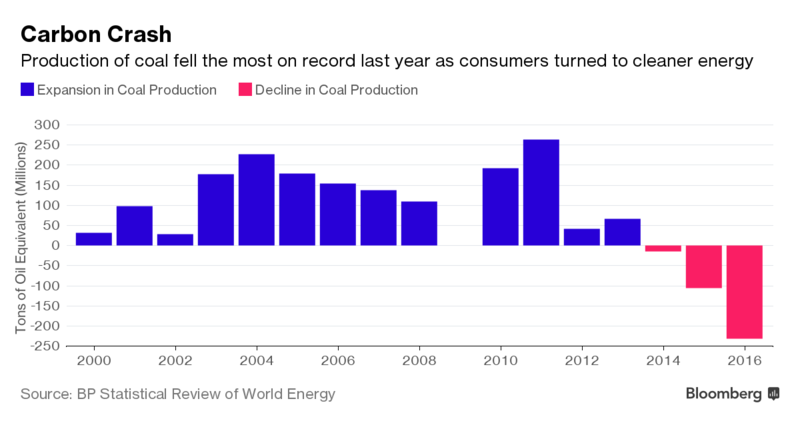 Coal is on the defensive in the nation’s power industry. Even in coal country. The pressure to shift more of the country’s electric supply to renewable sources is not just a rallying cry for environmentalists. Some of the power industry’s biggest customers, like General Motors and Microsoft, have made a commitment to clean energy. And to help them meet it — and keep them from taking their business elsewhere — utilities are changing their ways. West Virginia, where coal is king, is no exception. Appalachian Power, the leading utility there, is quickly shifting toward natural gas and renewable sources like wind and solar, even as President Trump calls for a coal renaissance. Appalachian Power still burns plenty of coal, but in recent years it has closed three coal-fired plants and converted two others to gas, reducing its dependence on coal to 61 percent last year, down from 74 percent in 2012. 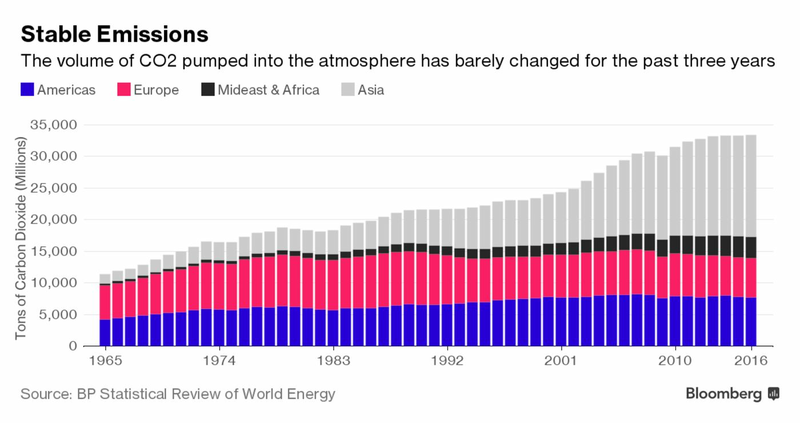 The global energy transition is probably here to stay. President Trump’s withdrawal will almost certainly have an impact (see my last several blogs) but the results are likely to be different from the “America First” world that he envisions. This entry was posted in administration, Anthropogenic, Climate Change, COP21, IPCC, Sustainability, Trump, UN, UNFCCC and tagged Adaptation, administration, America First, Arizona, Carbon, China, clean, clean coal, Clean Energy, Climate Change, Climate Change Denial, Climate Change Deniers, Climate Skeptics, CO2, CO2 emissions, Coal, DNNer, Donald Trump, Economics, Economy, electric, Electricity, Emissions, Energy, energy transition, Environment, Fossil Fuels, GDP, Global Warming, greenhouse gas, hydro, Hydroelectric, India, IPCC, job, jobs, Kentucky, mine, miner, mining, Mitigation, Natural Gas, Navajo, Nuclear, Obama, Ohio, Paris, Paris accord, Paris Agreement, Physics, politics, Power, Power Plants, Renewable, renewable energy, Science, Solar, Solar Energy, Sustainability, Technology, Trump, US, utilities, Utility, West Virginia, withdrawal. Bookmark the permalink. Micha Tomkiewicz If I had know about you 20 years ago I would have applied to he School for Graduate Studies of the City University of New York. This is the most through handling of the subject anywhere.